When I was a kid, I would wrap the entire family’s gifts for Christmas…even my own! My mom would just wrap mine in simple paper beforehand so I wouldn’t be able to peek, and then I’d wrap over it. So, it probably goes without saying that when it comes to gift wrap during the holidays, I tend to get a little extra, and try to dream up unique ways to present / wrap the gifts that I’m giving. 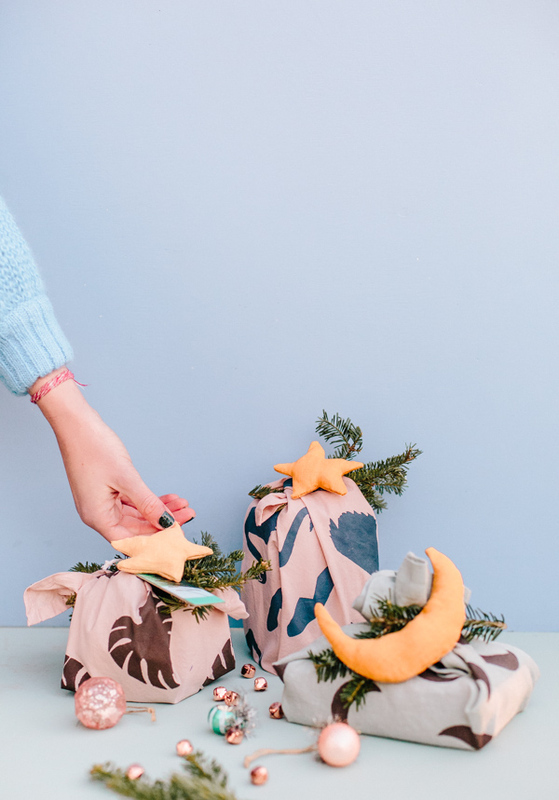 Whether it’s hand painted wrapping paper or custom gift toppers. And this year I’m getting a head start with DIY custom fabric gift wrap. 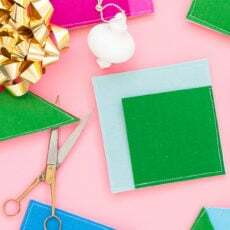 I partnered with Martha Stewart and Plaid Crafts to create some unique gift wrapping ideas that even the most beginner DIYer can totally nail. 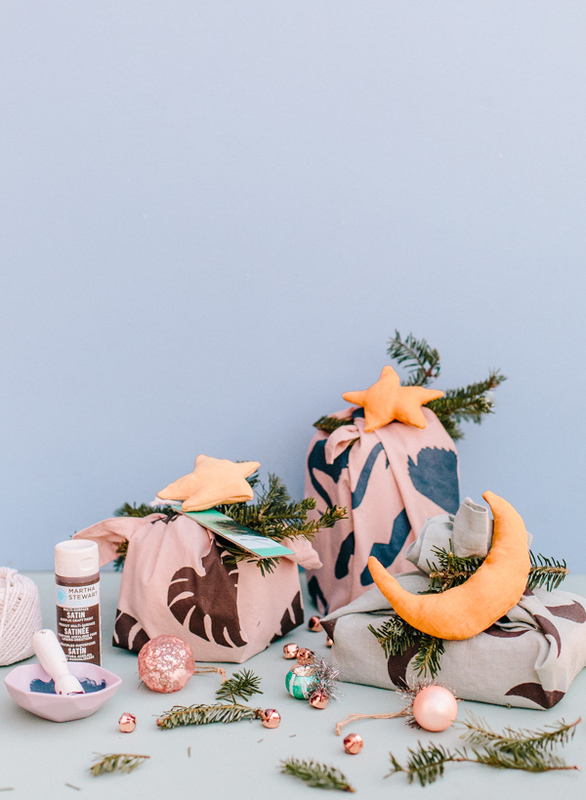 I love the unexpectedness of using fabric instead of paper for wrapping gifts, so these DIY gift wrap ideas are both made with stenciled fabrics! 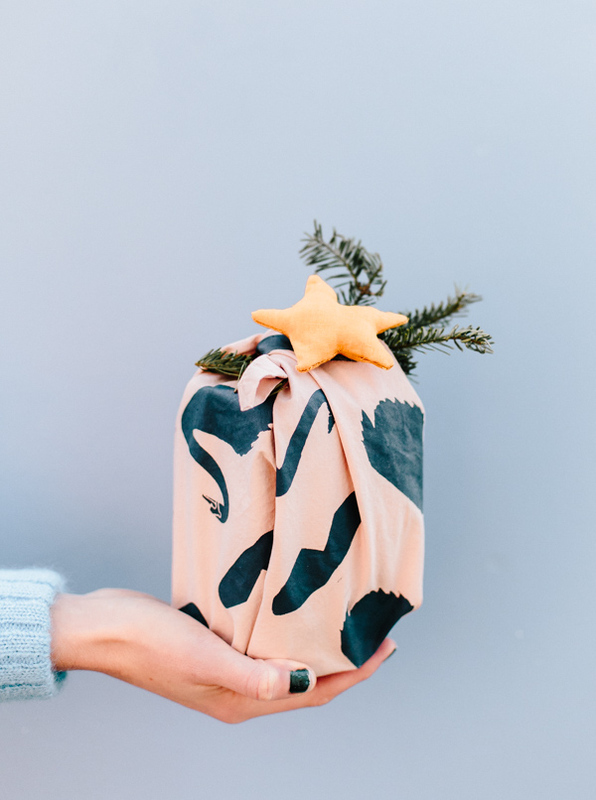 Bonus: The larger present’s gift wrap can double as an additional gift. Ex: Use a tea towel as the fabric for a gift for the chef in your life OR a handkerchief size for your fashionable friends. 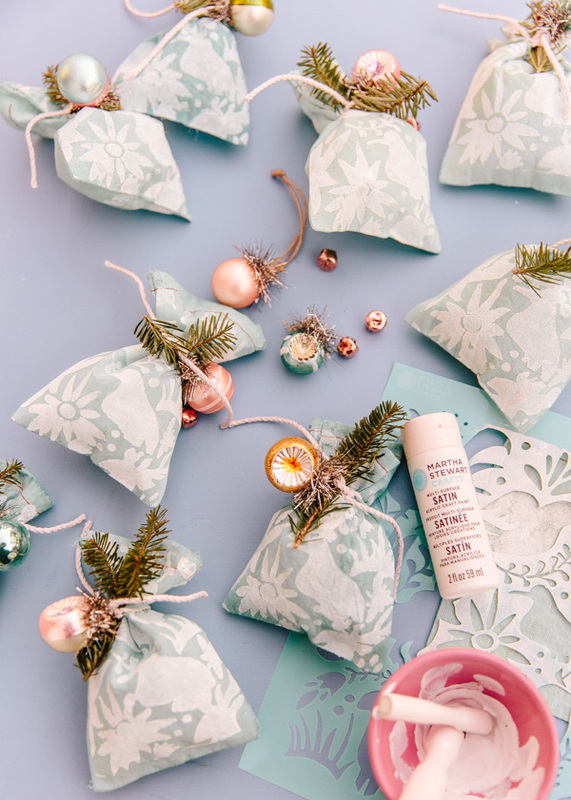 And since the patterns for each fabric wrap are created with Martha Stewart stencils, they can easily be customized for the giftee or even as a hint to what the gift is. 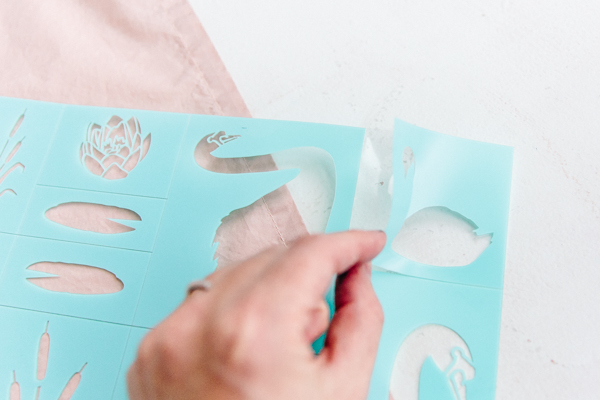 With more than 100 stencil sets to choose from (available exclusively at Michaels), you’re bound to find one that is perfect for what you’re looking for. 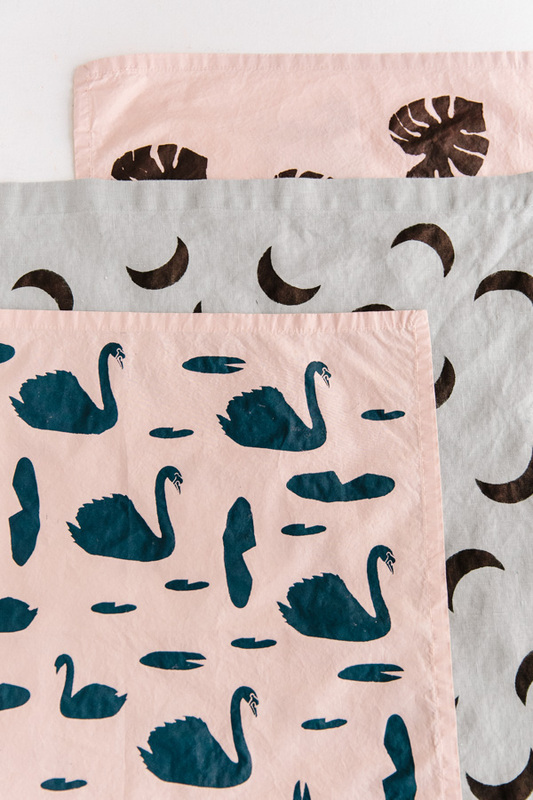 Some of my faves include Otomi, Swan Lake, Pineapple, and Constellation. 1. 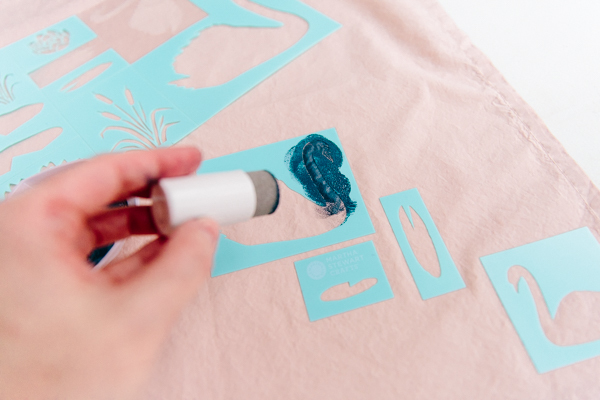 One thing I really love about the stencils I used is that insanely easy to use. 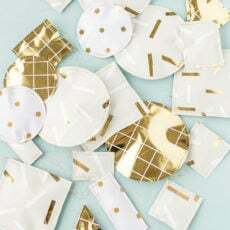 For the adhesive backing stencils, you just remove the stencil from the backing and place the stencil on the surface of your fabric. Push the stencil down all the way around to ensure its adhered to the surface of the fabric before moving on to step #2. 2. Next, pour a small amount of paint onto a paper plate or paint palette. I used Martha Stewart’s Multi-Surface Satin Acrylic in Wild Blueberry, which works on fabric, wood, and glass and is available in 78 colors! Load paint sparingly onto your stencil brush, dauber, or pouncer. For this project, I liked using the foam pouncers and daubers best. Then dab off the excess paint (if you overload it with paint, it could seep through the stencil and your lines won’t be as crisp) before tapping or pouncing a thin layer of paint over the the stencil. Apply a second coat if necessary. 3. 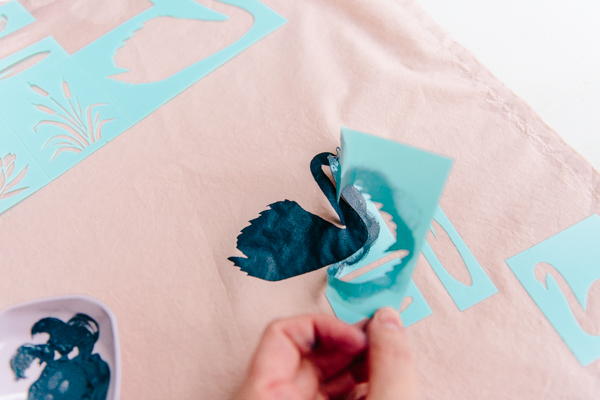 While the paint is still wet, carefully peel the stencil off to reveal the painted design. 4. Repeat the above steps for a repeat pattern like mine, if desired. Then clean the stencil off with soap and water (while the paint is still wet) and let dry before attaching the stencil to the backing again to store. 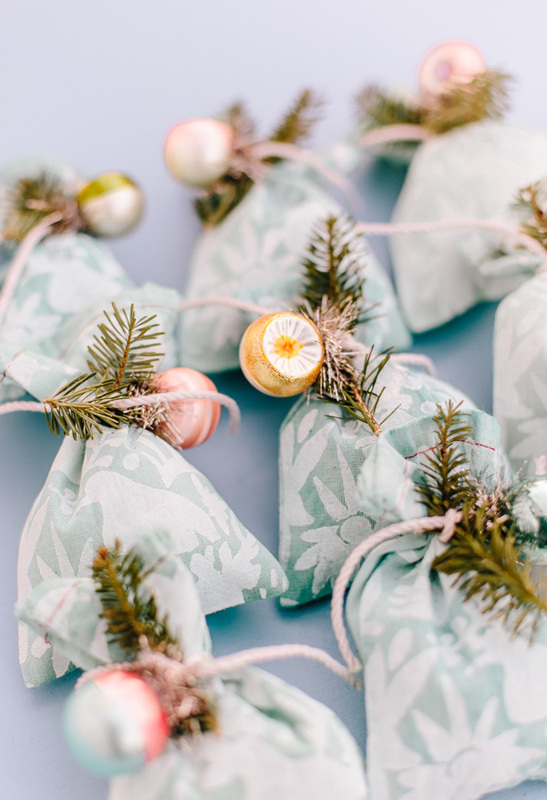 Once dry, use the finished fabric to wrap gifts of various sizes and shapes. 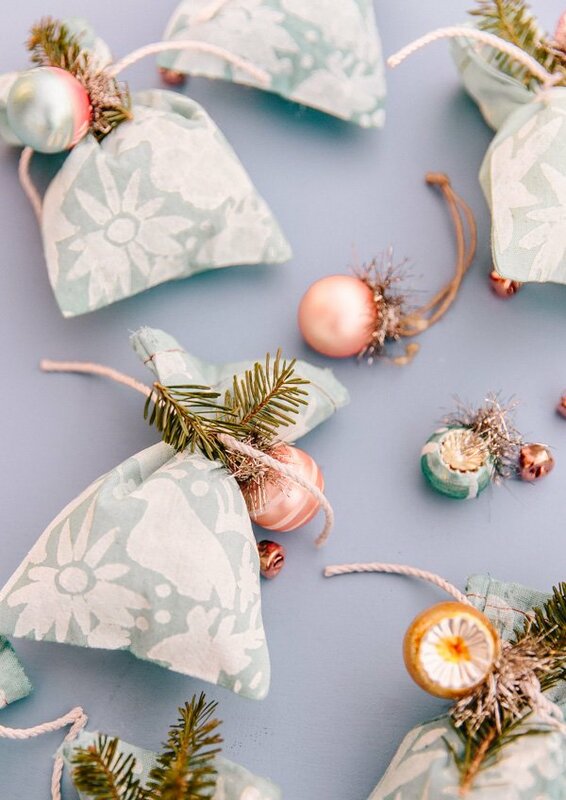 The drawstring bags are great for small gifts or unusually shaped items and the loose fabric is great for bigger presents. Add tree trimmings, an ornament, and a gift tag and you’re all set. You can find Martha Stewart products exclusively at Michaels. 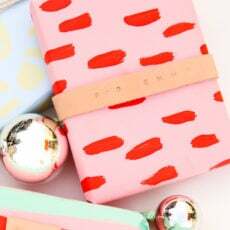 Are you a gift wrapping fanatic like me? Or do you leave the gift wrapping to someone else? Let me know in the comments below! I have partnered with the Martha Stewart team and Plaid Crafts for this post. All expressed opinions and experiences are my own. They turned out so well – great job!